There is nothing I like better than to spend an afternoon reading a good book and getting lost in the imaginary world. Its amazing how the words on the page can transport you to this whole other world just through your imagination. 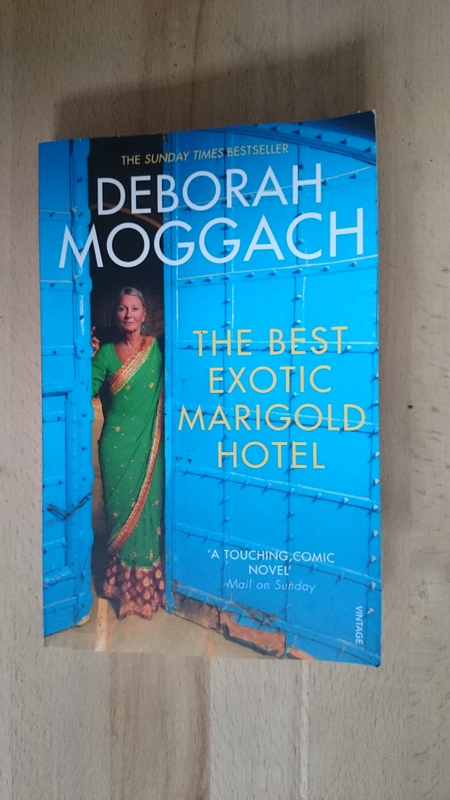 I got this book ‘The Best Exotic Marigold Hotel’ by Deborah Moggach as a present for Christmas and I couldn’t wait to start it. I have seen the film by the same name and didn’t know there was a book as well but I liked the film so much that I knew I would like the book. As with all films that are adapted from books they are not always the same and this was certainly the case with this book but I enjoyed it all the same. I always find the book allows you know greater details about the characters and the story that cannot be portrayed on film or the film would be hours long. So onto the book it self. This book follows the story of a number of elderly people who head to India to stay in the Marigold Hotel which is being advertised as a retirement home. It has been set up by two Indian cousins, one who lives in England and the other who live in India, to make some money and also for one to get his father-in-law out of the way. When they all arrive they find that the hotel is not as it was advertised and there some problems. Throughout the book we see friendships growing between all of these people who were strangers before they arrived at the Marigold Hotel and see many story lines beginning to develop with people growing and developing. It is a light hearted story over all and is very easy to read. Although it was not exactly as I expected from having watched the film I really did enjoy it and couldn’t put it down. It is one of those books that just makes you smile as you read it and gives you a new outlook on life, well I found this anyway. I want to watch the film again and compare them to each other but the film is a great light hearted , put you in a good mood film in its own right as well. They are also making a second film which is out this month(I think) so it will be interesting to see what that is about and how they have developed the story. So if you are looking for a light hearted, easy to read book , I would definitely recommend this one.If you have read it let me know what you thought or let me know if you are planning to read it. I did love that movie!